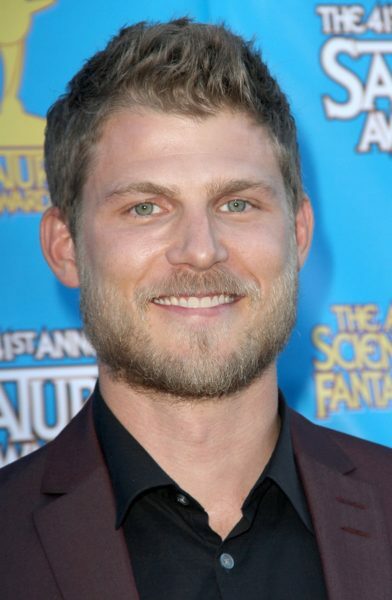 Travis Van Winkle is an American actor. Travis’s paternal grandfather was named Charles Harry Van Winkle. Travis’s paternal grandmother is Antonia Stark (who likely is the daughter of Johann Stark and Tatjana Pavlovna). Johann and Tatjana were Ukrainian. Travis’s maternal grandfather was Thomas Reynolds Fitzgerald (the son of Edward Fitzgerald and Katherine/Catherine Bridget Mulcahy). Thomas was born in Michigan. Edward was the son of Edmund Fitzgerald, who was born in Paliskenny, Limerick, Ireland, and Anna Reynolds, whose family was also from Limerick. Katherine was the daughter of Irish parents, James Mulcahy, who was from Glanmire, County Cork, and Margaret Manning, who was from Watergrasshill, County Cork. Travis’s maternal grandmother was Lucille Joan Zielinski (the daughter of Stephen Zielinski and Margaret Wesolek/Wesolik). Lucille was born in Michigan. Stephen was Polish, the son of Frank Zielinski and Tillie Urbanowski. Margaret was born in Michigan, to Polish parents, Frank Wesolek/Wesolik and Mary Kaczmarek. Travis’ paternal grandfather was Charles Harry Van Winkle. Travis’ paternal grandmother is Antonia Stark.